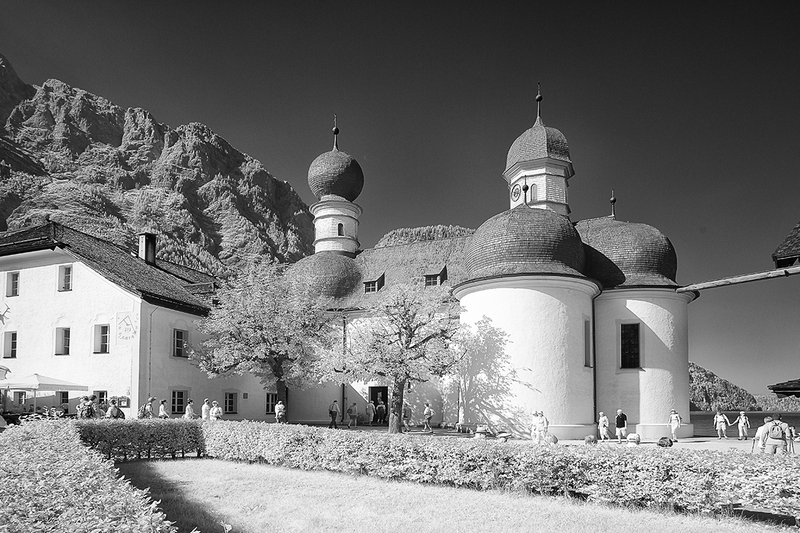 Accessible only by one of the electric boats that sail on the Königsee, or after a very long, arduous hike over the mountains, the Church of St. Bartholomä, patron saint of alpine farmers and dairymen, sits on a small peninsula on the western side of the lake. The original church was built around 1134 but it was rebuilt in 1697 in its present Baroque style. 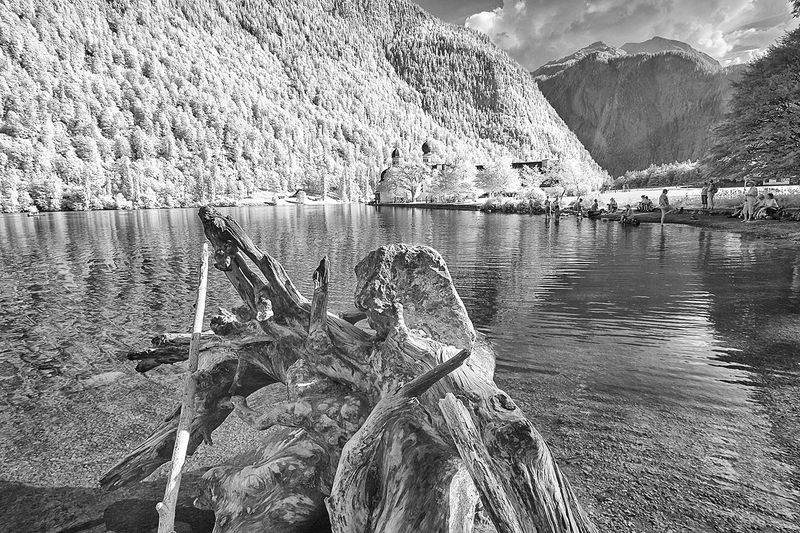 A gnarled old tree root sits quietly in the calm waters of the Königsee with the church of St. Bartholomä nestling in a clump of trees just beyond. The Königsee is a popular spot and attracts many bathers on a summer’s day.